Add style, elegance and a comfortable element to your bedroom with this contemporary designed queen size bed frame. Featuring a chic grey linen fabric and stylish chrome metal nailhead trim outlining the curved headboard, this bed will surely be the focal point of any bedroom. A standard queen size box spring is required. Mattress and box spring are not included. All parts and hardware for assembly are conveniently located inside the headboard. In a beautiful transition style, this silver metal queen size bedframe will set the tone in a master bedroom or guestroom. The elegant open arch accents along the headboard and footboard gives a contemporary upgrade to this classic design bringing an instant makeover to any bedroom. Constructed from sturdy metal tube with strong metal slats along the base for firm mattress support and no box spring required. Easy to assemble, you'll be ready for a restful sleep in your new bed in no time! Mattress is not included. Add style, elegance and a comfortable element to your bedroom with this contemporary designed queen size bed frame. Featuring a chic dark brown leather-look fabric with stylish antique brass metal nailhead trim and arched cutout silhouette this bed will surely be the focal point of any bedroom. The solid wood black feet give it that extra presence and durability. A standard queen size box spring is required. Mattress and box spring are not included. All parts and hardware for assembly are conveniently located inside the headboard. European inspired with a modern appeal, this elegant queen sized white metal bed frame will be your inspiration when upgrading your bedroom dicor. Constructed from strong metal with metal slats all along the base providing firm mattress support, this simply designed bed frame does not require a box spring. Easy to assemble and setup in no time, this beautiful contemporary metal bed will bring instant style to any bedroom. Mattress is not included. 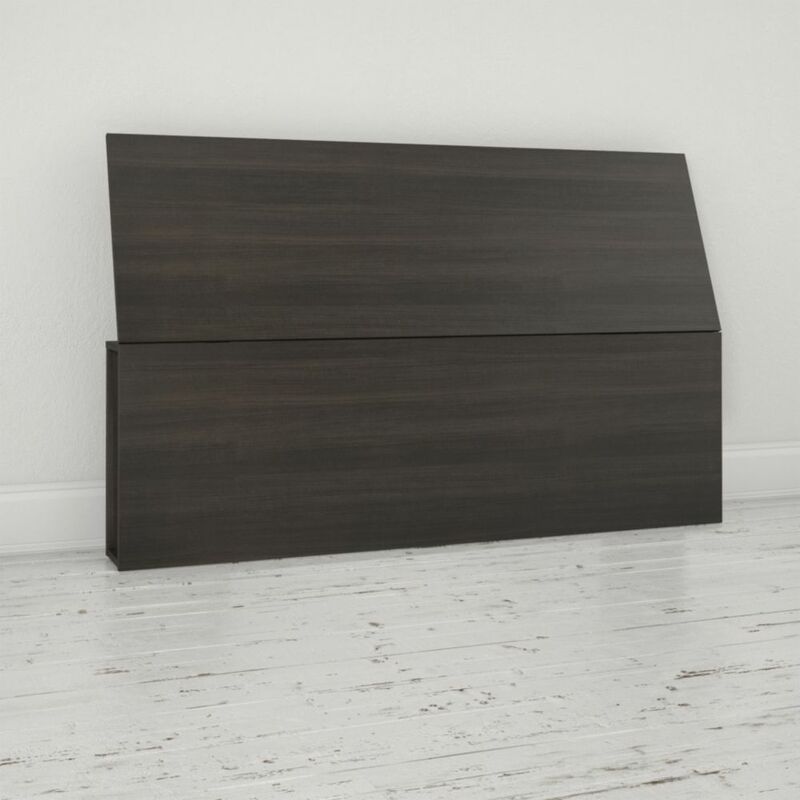 Allure Queen Size Headboard with lateral storage Allure Queen Size Headboard features lateral storage spaces on each side, ideal to keep your favourite books and magazines handy. This headboard matches the Allure Queen Size Storage Bed #226033 and is not suited for metal bed frames. Allure Collection from Nexera is offered in a distinctive Ebony and White contemporary finish and proposes modular and flexible combinations for your entertainment room, home office area and your bedroom.